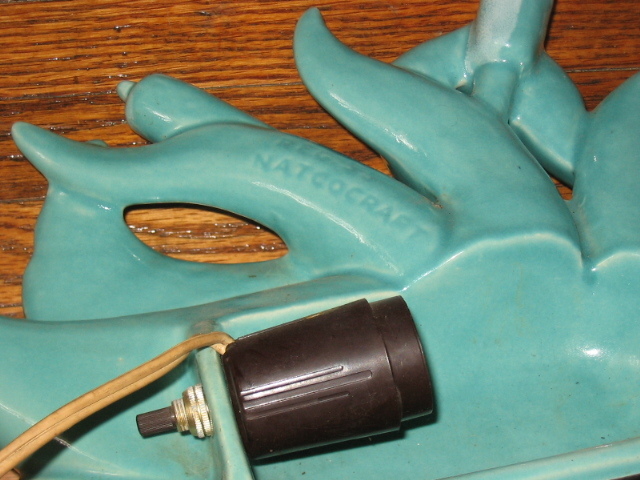 One seldom hears of Natcocraft, and have no knowledge of the company or their products. Nice lamp though! 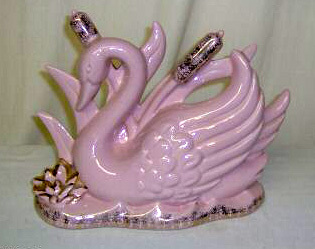 One of the more attractive swan lamps, the Natcocraft version has the swan swimming past plants and cattails. Photos courtesy of T.A. Brown of Canada. 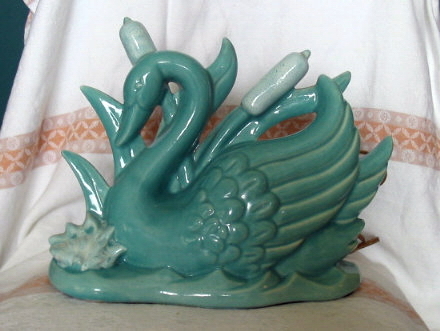 The back of the swan carries the Natcocraft mark. 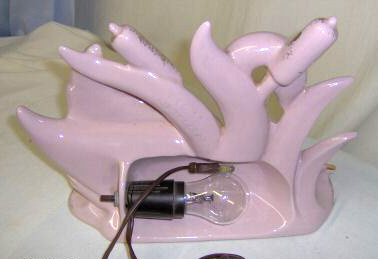 Same lamp, this time in pink with gold detailing.